The long-term development of unequal and underserved credit markets and their pent-up demand intersected with the development of modern, globally distributed financial instruments and the rollback of regulations designed to separate banking and finance functions and segment markets geographically. This increasingly monopolistic banking and finance landscape along with the global appetite for federally guaranteed securities fed increasingly irresponsible, and in some cases fraudulent and predatory, mortgage lending. 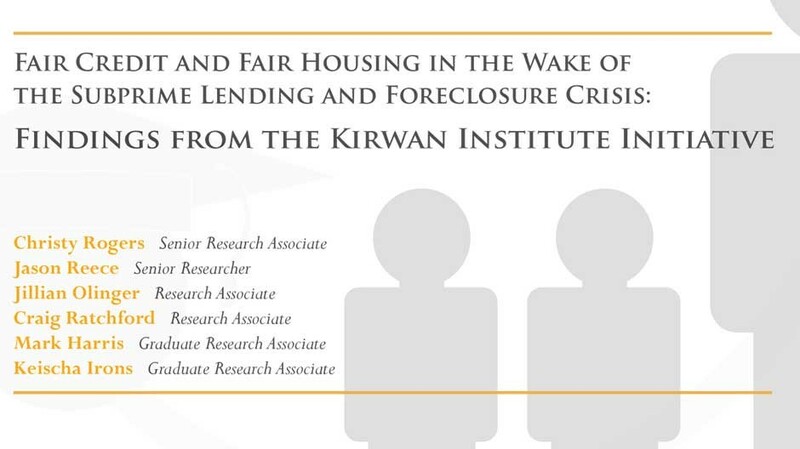 When the housing bubble burst, borrowers began to default on mortgages largely untenable beyond their origination; the result was a massive wave of foreclosures which began to destabilize families, neighborhoods, and entire communities. It was not long before investors realized that the “guaranteed” securities they held were threatened by the extraordinary scope of mortgage defaults. These investors began runs on investment banks and ultimately, insurers. The failure of some investment banks and the government-engineered rescue of “too big to fail” financial institutions (including the predominant secondary-market insurers Fannie Mae and Freddie Mac) had begun.